A dainty crochet flower with stem and leaf, this pretty motif is perfect for a touch of charm and can be used to embellish a variety of items. Put it on scarfs, hats, blankets etc. I’ve used a 4.00mm hook and light worsted acrylic yarn, but it will work just as well with other yarns, use the hook size appropriate. Be warned they are addictive and before you know it you will have made too many lol. If you are in the mood for flowers take a look also at my Folded Petal Flower. Stem & Leaf (Working from top of stem downwards) – With color 1 ch18, (RS) sl st in 3rd ch from hook, sl st in each of next 3ch, * ch8, sl st in 4th ch from hook, 1dc in next ch, 1trc in next ch, 1dc in next ch, sl st to next ch, sl st to stem. Fasten off. Head – Join in color 2 with a sl st to ch at top of stem, ch4, sl st to first ch to make a ring, ch1, work 10sc in ring, sl st to the first sc on beginning of row. Fasten off. Next Row – Join in color 3 (ch3, 3dc, ch3, sl st) in base of ch3, * skip 1sc work (sl st, ch3, 3dc, ch3, sl st) in next sc, * rpt from * to * to last sc, skip sc, sl st to first sl st on beginning of row. Fasten off. Finishing – Weave in ends at back of flower and trim off. 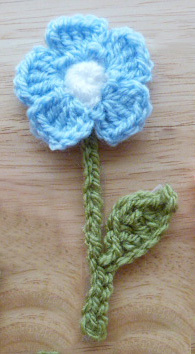 Hope you enjoy making the crochet flower and use it to decorate lots of things for your family and around your home. 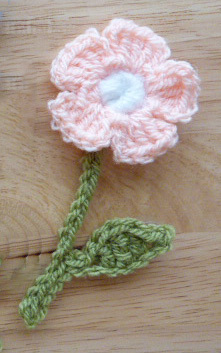 You are welcome to sell the finished products made from this free crochet flower crochet pattern, I just ask that you put a link back to crochet ‘n’ create. 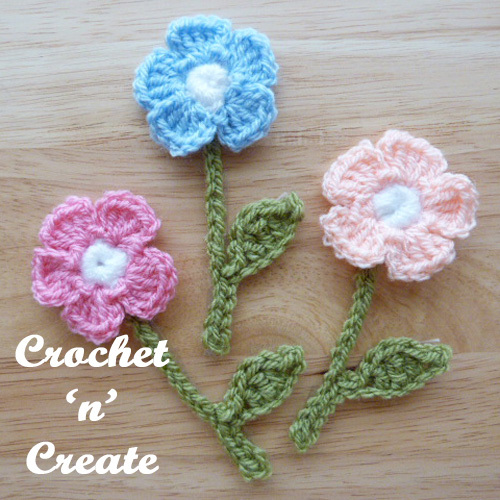 This entry was posted in Crochet Flowers, free crochet patterns and tagged crochet, crochet applique, crochet for home, free crochet patterns on 28th March 2017 by crochetncreate. 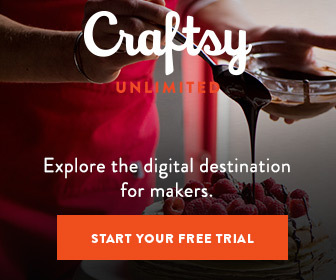 love the floral pattern but a question…do you have one for a tulip..preferably a flat tulip I can sew onto something else I am crocheting??? Sorry Barbara I don’t at the moment. Thanks Sylvia, I’m pleased you’re enjoying my designs.